Our shoulders are responsible for flexibility and motion. Injured shoulder can really give anyone a tough time. It gets difficult to return to one’s normal day-to-day routine when the shoulder is injured. One must take proper care of not aggravating the injury further. 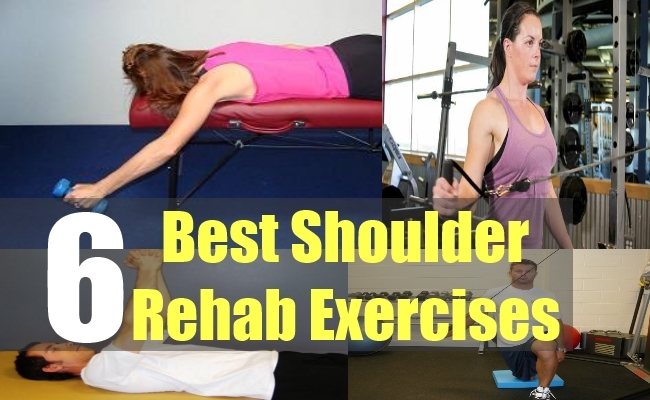 Regular shoulder rehab exercises are extremely important for full recovery. You must know which exercises are required for maintaining the health of your injured shoulders. These few simple shoulder rehab exercises may be the key to your recovery. Always consult your orthopaedic surgeon or physiotherapist before doing these. We give you the best 6 shoulder rehab exercises. This one again is one of the simplest of the lot. You just need to stretch out your elbow straight. Now try to crawl up a window or a door using your fingers. Go as far as you possibly can. Hold it there for around ten seconds. Now crawl back down again. Make sure you repeat it around 3 times and do three sessions in a day. 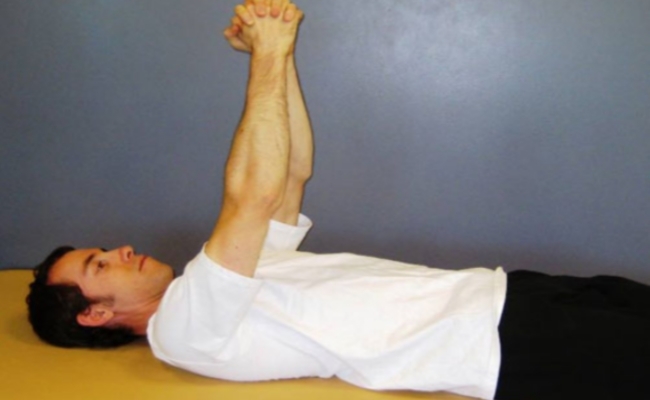 This is one of the simplest shoulder rehab exercises. You just need to place the elbow on a table or any other flat surface. Now keep the shoulder blades down and try to bring your forearm back and forth. You must repeat this exercise 10 times and do three sessions in a day. This is the assistive shoulder flexion. It can be done by either lying down on a floor or by sitting on a chair as well. You just need to clasp your hands together and then simply lift your arms right above your head. Try to keep the elbows as straight as possible. You must repeat this exercise at least 10 to 20 times. You may do it around three times in a day. You would need a small table for this exercise. Now bend 90 degrees forward and use the table as your support. Make sure you bend right at the waist and not from your knees. Now move and rock your body in a way that your arm actually moves clockwise. Do this ten times. Now move it counter-clockwise again ten times. Do at least three sessions in a day for best results. First of all, bring your back at the back. Now slowly try to take it across on the other side or opposite side. Do this slowly. Make sure you repeat this minimum of ten times and three sessions are a must everyday for best results. 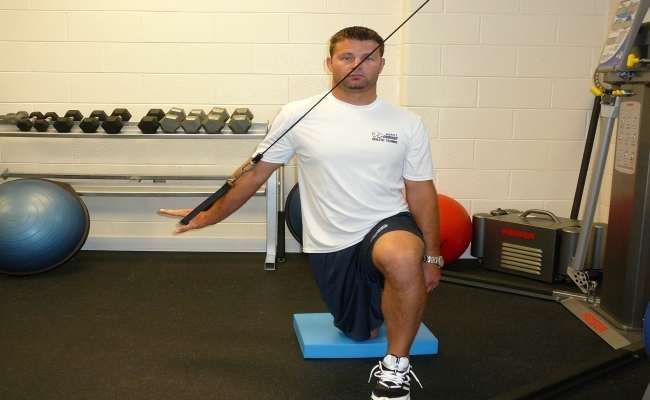 All these exercises must be done only after consulting your physiotherapist or orthopaedic surgeon. Sit comfortably on a chair. Now raise your arm out in a way that your elbow is straight and the palm is facing down. Ensure that you are not shrugging and that you don’t tilt your trunk at all. Once your arm is up, parallel your shoulder, hold it up there for at least ten seconds. Now slowly go back to the start position. This must be done at least 3 times in a row. A minimum of three sessions are advised for better results.